Blue Marble Microinsurance — a consortium of eight companies established in 2015 with the aim of creating a market for microinsurance — announced the launch of their first venture in Zimbabwe. “While Blue Marble will initially pilot the venture in Zimbabwe to gain insights into how to make the insurance solution sustainable and impactful, they ultimately plan to scale the venture across Africa,” the consortium said. “Blue Marble is providing drought protection to smallholder maize farmers in Zimbabwe. The venture has three key features. First, the design of a proprietary index to support the insurance product is a collaborative innovation of data scientists and agronomists from the eight consortium companies. “The second feature is the use of two-way mobile communication with customers to improve the overall proposition continuously. Joan Lamm-Tennant, Chief Executive Officer of Blue Marble Microinsurance, said, “I am delighted that Blue Marble’s eight consortium companies have come together to launch this promising venture in Africa. 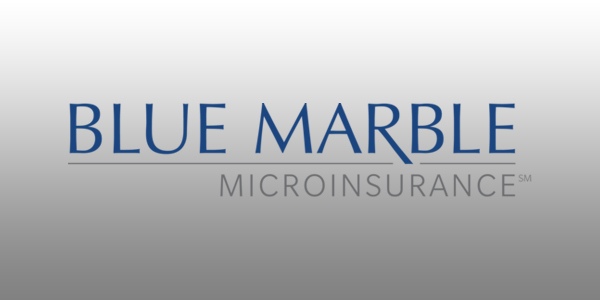 Blue Marble Microinsurance is a consortium of American International Group, Inc., Aspen Insurance Holdings Limited, Guy Carpenter & Company, LLC together with Marsh & McLennan Companies, Inc., Hamilton Insurance Group, Ltd., Old Mutual plc, Transatlantic Reinsurance Company, XL Catlin and Zurich Insurance Group. Hamilton’s Chairman and CEO Brian Duperreault is Vice Chairman of Blue Marble.